SUBHEAD: Officials wanted to roll out a response plan before tensions escalated. Then Trump's threats began. Image above: Why is Hawaii threatened? Because of strategic location to control the Pacific Ocean. That's a major reason for America's takeover. 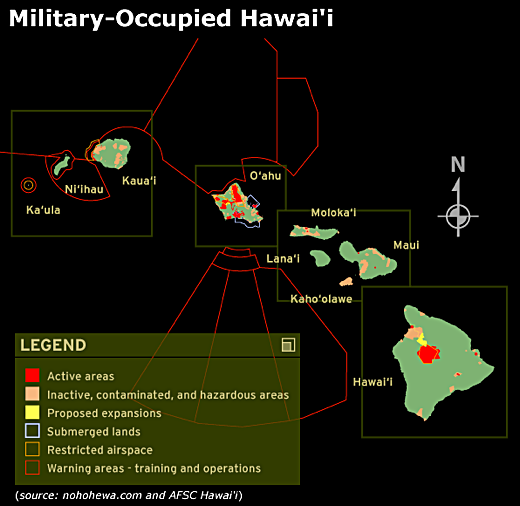 many of the islands are riddled with important military targets. Months before President Donald Trump threatened North Korea with “fire and fury,” before North Korea claimed to be planning a mid-August attack on Guam and well before Trump tweeted that the U.S. military was “locked and loaded” to strike, officials in Hawaii began organizing guidelines for civilians in case of a nuclear attack on the islands. The Hawaii Emergency Management Agency has been preparing for possible threats from North Korea since January while trying to avoid causing undue anxiety among residents. But as the state began rolling out its response plan, North Korea successfully test-launched two intercontinental ballistic missiles in July with ranges within reach of Hawaii. Then a very public exchange of threats and one-upmanship began between Trump and North Korean leader Kim Jong Un. 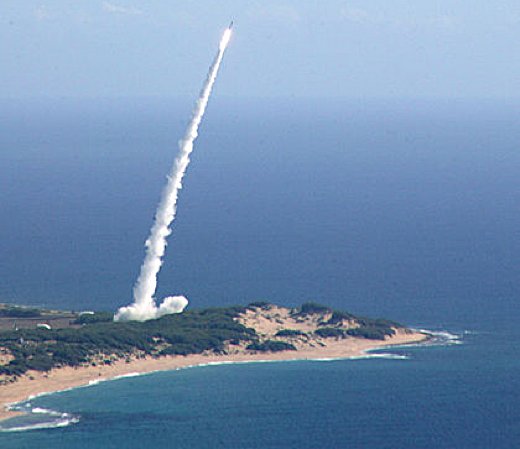 Image above: Test flight of an Aegis missile from the Barking Sand area of the Pacific Missile Range Facilty (PMRF) on Kauai. North Korea has made major advancements in the country’s weapon program, which now includes ICBMs and miniaturized warheads that are potentially within range of Hawaii, as well as the mainland’s West Coast and Denver. But most experts believe that there is no real threat to U.S. soil, especially since it remains unclear if Pyongyang has developed the accuracy to deliver a long-range missile to its intended target. 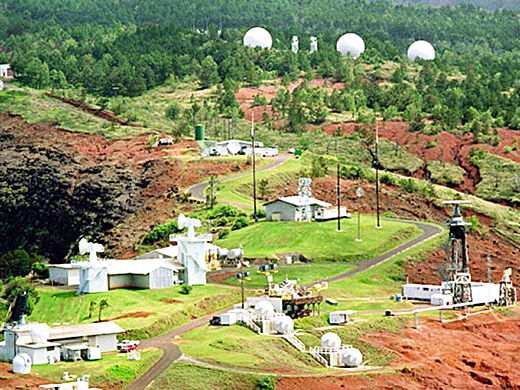 Image above: "Ground Zero" on Makaha Ridge atop Kauai is a key facility for gathering critical aero-space information for the military and NASA.